In all areas of the festival we are seeing people, mostly young, wearing red T-shirts. Sometimes they sit behind a desk, sometimes they run around in the hallways and sometimes they just wait patiently in the film halls, to assist visitors in finding their seats. 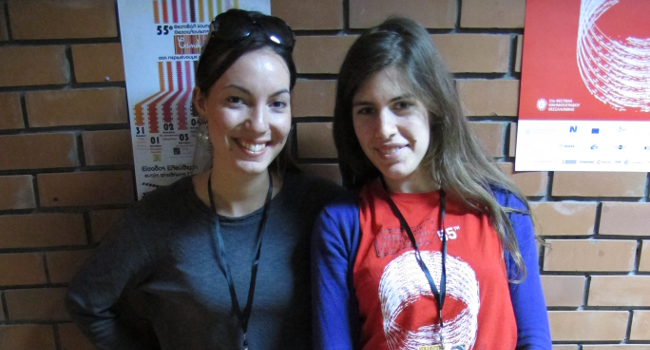 They are the film festival’s volunteer helpers. Together with the red shirts they have another common feature: the smile. All seem incredibly friendly and willing to help even the most demanding visitor. And all with genuine joy and good humor. “The Festival is a great celebration for our city and manages to change the atmosphere and our mood for a few days.” Nikos tells me, who is at his first experience as a volunteer. When I asked him why he is doing this, he seemed puzzled “It’s nice to be a part of the whole and a great feeling to give something.” He replied after a while. I stood there a while and look at them. Behind a desk at a hall’s entrance of the harbor are four children. They move quickly and answer to the guests’ questions clearly and helpfully. Although it is very busy and neither the visitors stop asking, nor their needs cease, the kids do not lose patience, nor their good humor. They even have the spirit to make a joke about it i. If they were on TV, they would say: “We have fun backstage and this can be seen outside.” Only, in this case it’s really true. Noticing how assiduously they work, i wondered whether they ever find the time to watch movies. Irene, i have been told, could see last year twelve films and has set the same goal this year. A seemingly small number compared to the extensive film program, which can be found here (link). 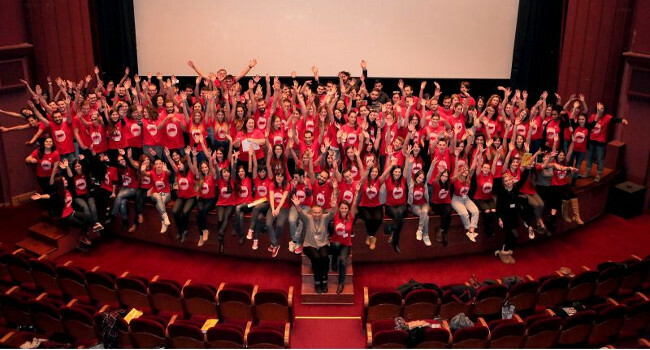 If you have trouble deciding, you can always ask one of these smiling teenager with red T-shirts.